Imperial officers are ruthless and unflappable, but there is one man that strikes fear into every one of their hearts. Even if a high ranking commander seems like they aren't afraid of Lord Vader, underneath everything, they are shaking in their space-boots whenever he's nearby. Take a walk on the Dark Side in this official Darth Vader Costume, and see what it's like pretending to be the classic Star Wars villain! Before you suit up, you should probably know that keeping all of those ship captains and fleet commanders in a constant state of tension is harder than it looks. It takes more than just calmly strolling around the bridge of a Star Destroyer in a menacing cape, while sounding like you're having an asthma attack through a walkie talkie. That may be enough to terrorize junior officers and stormtroopers, and maybe even a seasoned commander that's recently messed up really badly (like by having their comlink on “silent” when the Emperor called). But, like most things, freaking out Imperial goons is all about timing, and leaving an officer in suspense by being nowhere in sight is just as effective as constantly looming over them. 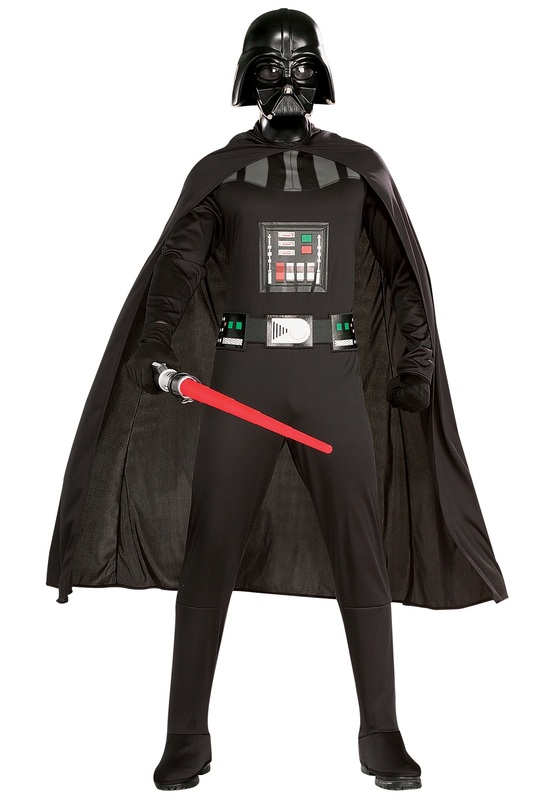 You'll have plenty of time to practice your intimidating demeanor when you're dressed up as Vader. This polyester costume has all of the details of his iconic armor printed right on it for easy upkeep, and it includes a flowing cape and molded half-mask to make sure you look as intimidating as the real villain. Grab a lightsaber accessory to complete the look, or just practice your booming voice and scary breathing to show everyone that people don't call you the Dark Lord of the Sith for nothing!